A professor at Boston University takes over from columnist Scott Burns and talks about selling stocks. 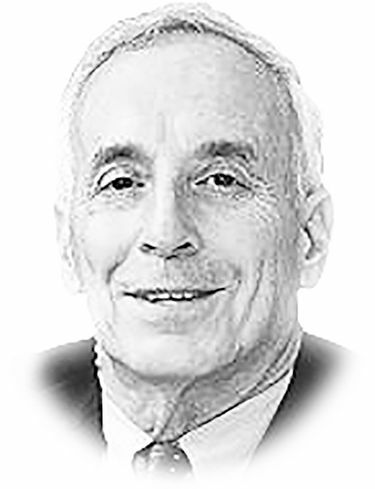 This is the first weekly column of Laurence Kotlikoff, a Boston University economist. He’s replacing Scott Burns, who has retired. Smart economists never predict the stock market. Our theory tells us it’s impossible. Leaving aside inside information, everyone already knows what we know and has traded on this old news and moved stock prices accordingly. The fact that only “new news” — things that people don’t yet know or expect — should change stock prices means that stock movements are supposed to be random, i.e., unpredictable. So why would a card-carrying economist like me predict a stock-market crash and tell you to get out of the market, if you own individual stocks, or move your 401(k), IRA and other retirement-account stock holdings into something safe, like short-term government bonds? To begin, economic theory is not perfect. Investors often adopt a herd mentality in rising markets. That produces asset-price bubbles leading to crazy valuations — bubbles that can burst at any moment because they aren’t based on fundamentals. Today’s stock market is priced at an all-time high and has been on a tear for eight years. Moreover, the price of stocks is very high relative to profits, which is the underlying determinant of stock prices. What could be the “new news” that crashes today’s stock market? How about a trade war, an international boycott of U.S. goods, or an international boycott on travel to the U.S. Since 41 million — one in five — U.S. jobs depend on foreign trade, any of these could burst the stock bubble. Let’s consider why at least one of these unthinkable events is now quite likely. First, President Trump and his chief trade economist, Peter Navarro, have publicly accused China, Germany, as well as Japan of currency manipulation. They have just killed both the Trans-Pacific Partnership and the trans-Atlantic Trade and Investment Partnership trade deals. They are also likely to kill the North American Free Trade Agreement. Second, the president has called for 20 percent tariffs on Mexican imports and 45 percent tariffs on imports of goods made abroad by U.S. companies. Third, Trump seems intent on publicly humiliating foreign leaders and, by extension, their countrymen. Fourth, the president’s “Muslim ban” has surely deeply upset 1.6 billion Muslims, constituting almost a quarter of the world’s population. Fifth, Trump is becoming the world’s leading persona non grata. Recently the British Parliament debated banning the president from the United Kingdom. No one knows where all this will lead. What we do know is that uncertainty and the stock market don’t mix. My recommendation: Sell your stocks (and your long-term bonds, too) until the dust settles. If your stocks and long bonds are in retirement accounts, transfer them to short-term Treasurys.